1.5m dollars cash stash seized from a corrupt official. The officers of the Prosecutor-General Office and the National Police conducted a joint search operation on documenting a gross embezzlement scheme in Ukrazliznytsya (Ukrainian Railways). "During one Ukrazliznytsya procurement scheme inflicted 23.8m hryvnia in damages to the state. Searches are ongoing both in the offices and homes of the suspects, who were members of an organized criminal group," chief prosecutor Yury Lutsenko wrote on Facebook Friday, 21 October. He said law enforcer a simultaneously conducting conducted about 20 searches. 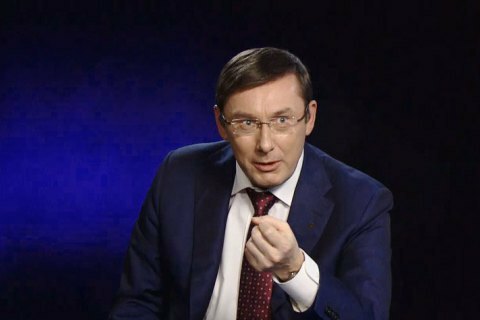 "About 1.5m dollars in cash have been seized from the head of the organized criminal group," Lutsenko wrote. In August, an UZ official in Lviv was arrested for the embezzlement of 13m hryvnia case.